Not all chiropractic care is the same! Your success depends on the skill of the chiropractor and the methods by which the care is delivered. Dr. Rushing uses a proven system perfected over the last 30 years, getting results where others fail. All without lengthy treatment recommendations. At Rushing Chiropractic you receive specific care designed for your individual needs. Our goal with every patient is to achieve a full recovery as quickly as possible. The procedures illustrated below are examples of various treatments utilized in the care of our patients. Treatment will differ depending on your condition and will be tailored to your needs. Our main tool as a chiropractor is the chiropractic adjustment. Dr. Rushing uses his hands to perform many of the adjustments in his office. Adjustments need to be performed a series of times to resolve the complaints. The initial evaluation and response to subsequent adjustments help to determine the need for further treatment. One of the newest and most advanced treatments in chiropractic today! 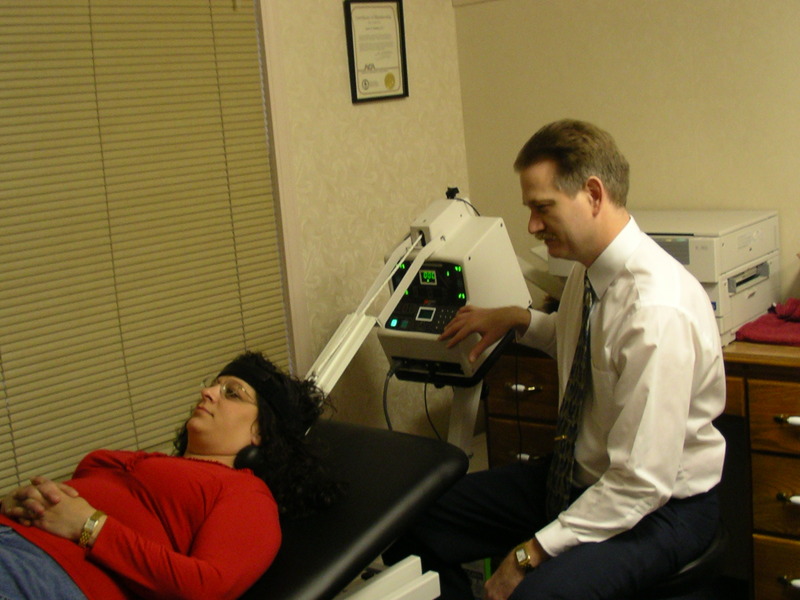 Cold Lasers are quickly becoming more powerful and more useful in treating many conditions in todays advanced chiropractors offices.